The “consult room” – every hospital has one or several. The “consult room” is where Evan and I held Jake for the last time. It is where we were when the ER doctor told us that Sawyer was dead. They were different “consult rooms,” in different hospitals but they looked the same. Standard issue plastic couch and chair. Generic flowery art. Striped carpet. No one wishes to be in these rooms. The hospital where all 4 of our children were born has a Perinatal Bereavement Office where I volunteer at times. The extraordinary people who work at the office decided that they were going to renovate the consult room in the Special Care Nursery of the NICU. I was lucky enough to help with this special project. 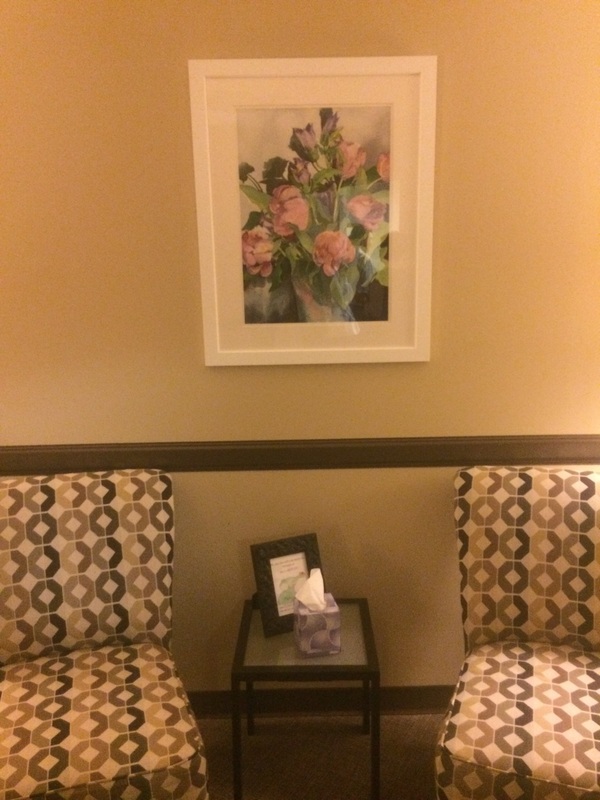 One of Evan’s mother’s paintings is now on a wall of the newly decorated consult room. On another wall there is painting by an artist who is the great-aunt of other parents who also used the room when their little girl, Lily, died. Her parents helped with this special project too. This is still a room that I hope none of you have to enter. I know that realistically there are people who will be in that room holding their precious baby for perhaps the first and last time. I wish that one day all babies will go home with their parents but until that day I am glad that there is now a warm comforting room where families can spend whatever time they have together. 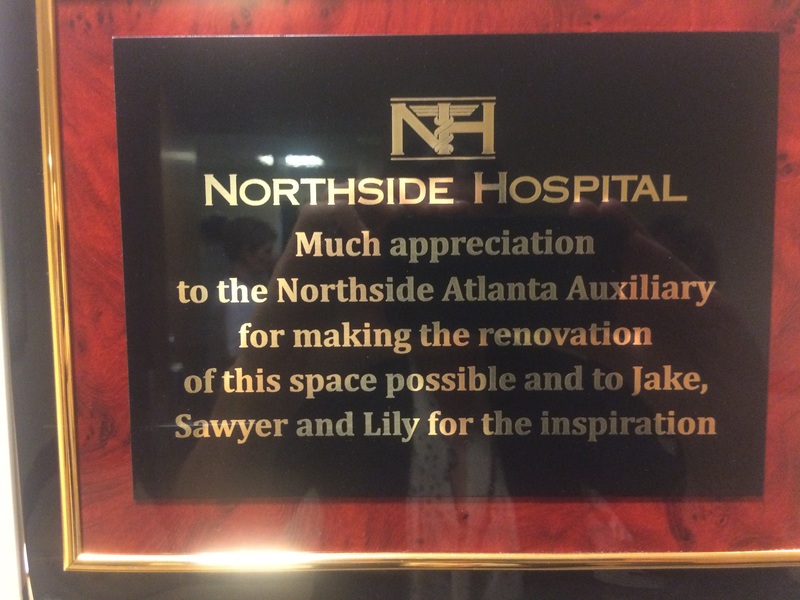 Evan and I are truly honored by the dedication of this room and that this will be part of Jake and Sawyer’s legacy. Lovely tribute that will be lasting. A mitzvah born of grief. Thank you in behalf of all who will benefit. Dear Lainie and Evan – It’s a sad but also a beautiful story and I am happy for you to have Jake and Sawyer commemorated in that space. This is amazing. So glad (in a sad way) that you are able to use your pain to help people who need it.